I was so sad to see this series come to an end. Stephanie Meyer has a gift for the written word, she really makes you feel like you're part of the story, and you really get attach to the characters. I really feel like I know Bella like I know my best friend. I really hope Stephanie Meyer will decide to continue this series and write a book about Renessme from her point of view. 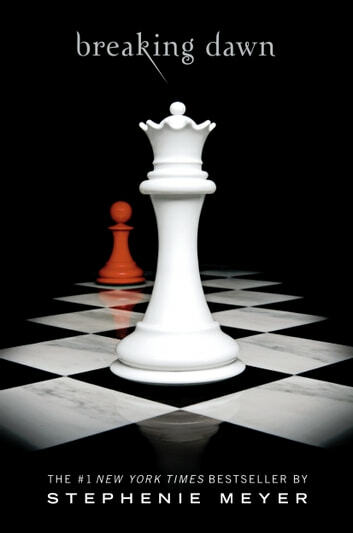 I love the twilight series and I have to say, this is my favorite of them all.It has romance, thrill, adventure, humour, and new horizons for all if the characters good, and bad.If you are thinking about reading this book and you found the other books by this author interesting or like me stating it as interesting an understatment than you will love this book.It has all the qualties of a good , no epic book and is a favorite read of mine.I higgly recomend it! This was by far my favorite book. Combines love, family, commitment, compromise and battle. I laughed, I cried, I fell in love. I love twilight its just so engageing .i was addictide to the book the whole series i have no clue what to do now i have fineshed the whole series i recommend it to every one! I think this book is very detailed and it is different from the movie but still the same.